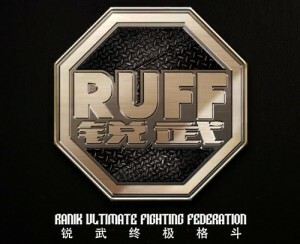 RUFF 5, which aired on both the Jiangsu Sports Channel and the Guangzhou Sports Channel, was seen by a TV audience of nearly 1.3 million viewers in China on September 8. This was China’s first ever live televised broadcast which also aired online via PPTV and QQ / Tencent, reaching roughly one percent of all potential viewing households in the televised regions. The RUFF 4 event was re-broadcast across China the day before RUFF 5, and has been seen by 4.25 million viewers in all. On September 7, 2.6-million viewers watched RUFF 4 on the Chongqing Satellite Channel, while an additional 1.1 million watched on Jiangsu Sports Channel on September 3. Stay tuned to ProMMAnow (www.prommanow.com) for more RUFF news and coverage.